We all like tools (sometimes read “toys”). Especially nifty ones. 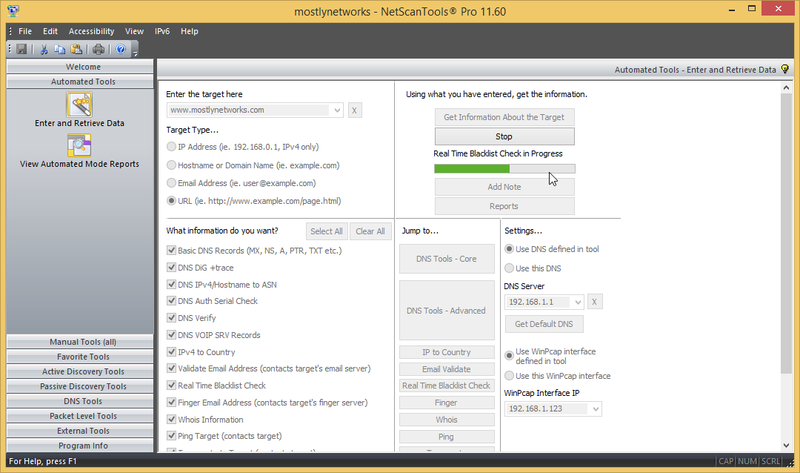 One of the tools I’ve used for years is NetScanTools Pro from NorthWest Performance Software. Kirk Thomas is the founder of the company and you can find him on twitter as @NetScanTools. I’ve talked to him many times on Twitter and he is extremely helpful and very open to input from his customers. 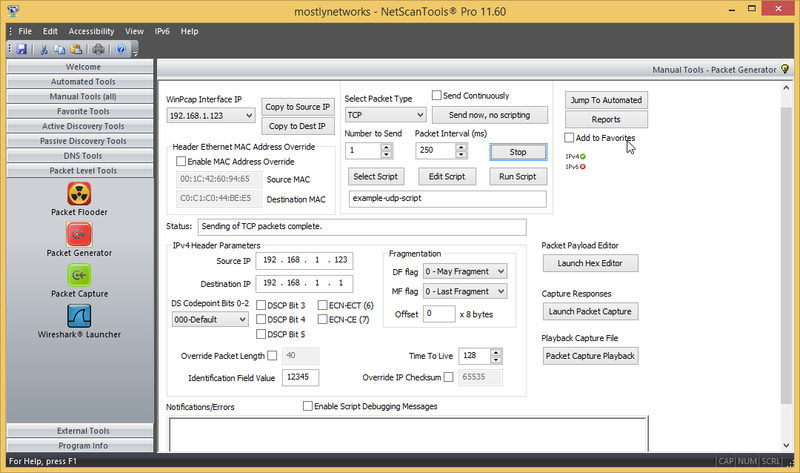 I was first introduced to NetScanTools Pro by Laura Chappell of Chappell University, where she teaches about protocol analysis and Wireshark. It’s something of a network discovery tool and then some. It has a collection of active and passive discovery tools, various DNS tools, and some packet level tools. The value in most of this is that all the tools are in one place and it has automation to grab lots of information very quickly, though there are a few unique tools. The only downside to this tool is that it’s only on Windows. You can find out a lot about a network by digging through it’s DNS entries, scanning hosts, doing whois lookups, etc. That generally takes time. NST can really speed this up with several automated reports. In just a few minutes it can give you a report for a domain that includes whois records, DNS details, MX records, blacklists, traceroute with geolocation, port scans, and more. NetScanTools running a scan. You can see most of the options here. This can save a lot of time in discovering information about a network. You don’t have to do everything as an automated scan. You can also run the tools individually. There are also a number of tools that give you information about the computer and local network that NST is running upon. If it has something to do with the network, NST has a tool to tell you about it. 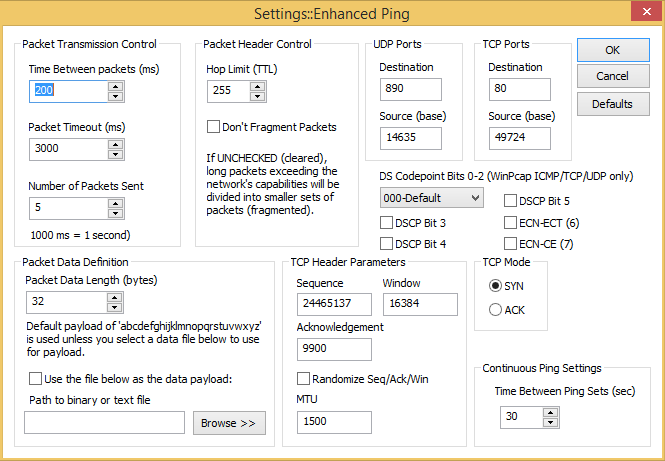 More ping options than you know what to do with. There are nice little collection of packet tools that let you generate arbitrary packets, send Wake on LAN packets, capture packets, and playback a capture. 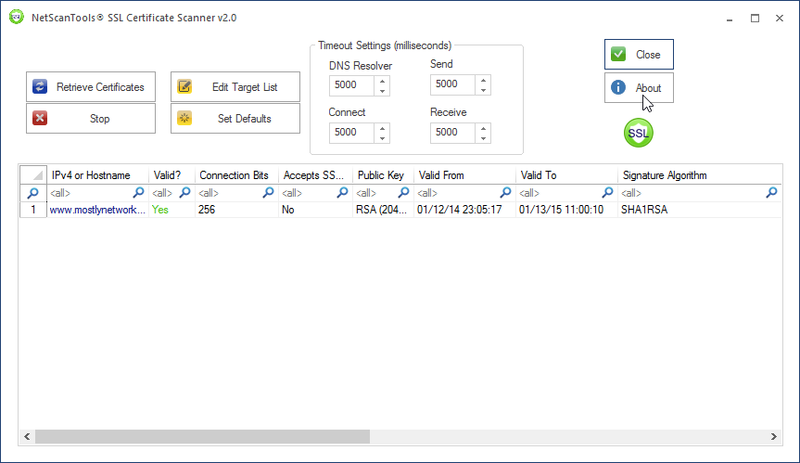 The capture app isn’t Wireshark, but it’s convenient and you can always save the capture and open it in Wireshark. I like this one. Give it a list or range of IPs, and it’ll tell you about the SSL certs. This could be useful to scan a network and check for soon to be expired certificates, for example. 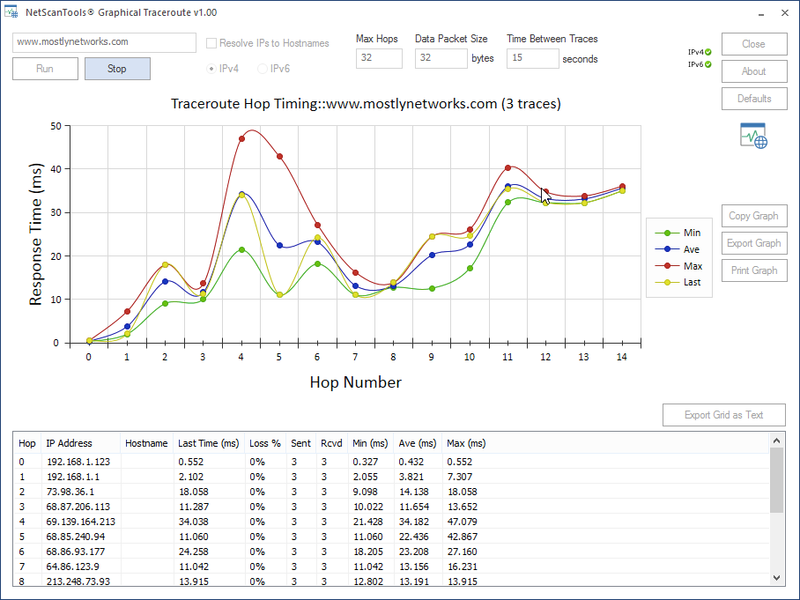 If you like mtr, you should also like the new Graphical Traceroute tool. Since a picture is worth 1000 words and since it is Graphical Traceroute, I think the best way to describe this tool is with a screenshot. The new Graphical Traceroute tool is nifty. I’ve had this toolset for years. It’s not one I use ever day, but it’s nice to have when I need it. It just has so many tools bundled into one place and most of them support IPv6. It has a free 30 day demo, so give it a shot and explore this toolset. I use this software and have paid for this software, however, I did receive a nice discount on my last maintenance renewal when I planned to write a blog post about the software. This entry was posted in Tools and tagged networking, tools by scottm32768. Bookmark the permalink.